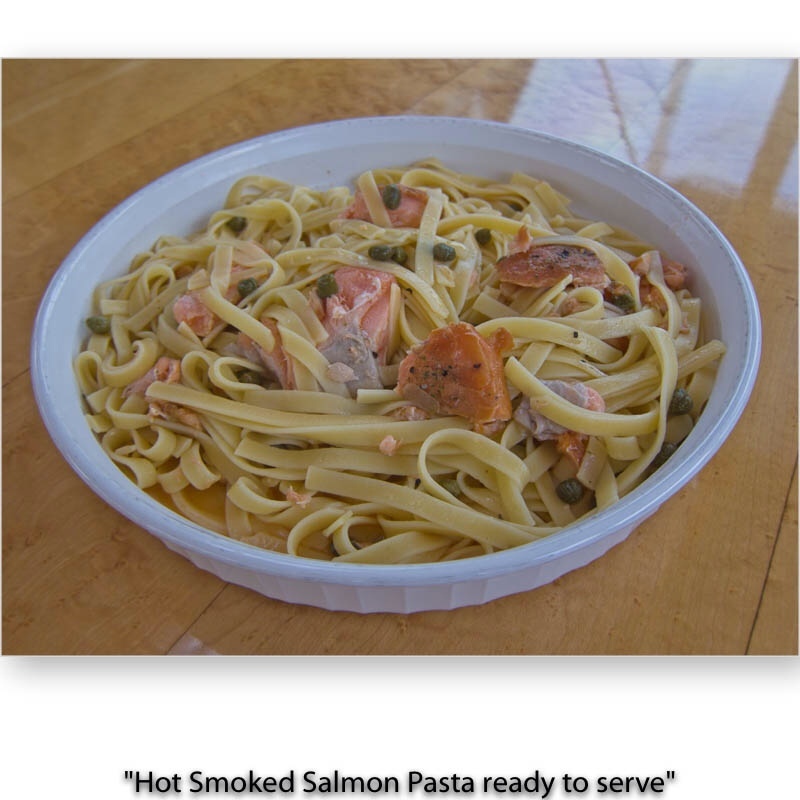 When my grandson and I were looking in the fridge for ingredients for dinner one day, we found my packet of Hot Smoked Salmon and decided to make Pasta with it. Fortunately I had observed my son-in-law make proper pasta dishes so was confident that we could whip up something delicious. This is a quick and easy main dish for lunch or dinner, for 4 people. You will have to work quickly from start to finish, so don't let anyone interrupt you halfway through making this dish. 16 oz (450 grams) Spaghetti, or other pasta of your choice. Penne pasta is good here, too. Cook the pasta according to package instructions, until al dente tender. Scoop out 1 cup of the pasta water before draining, and set aside. 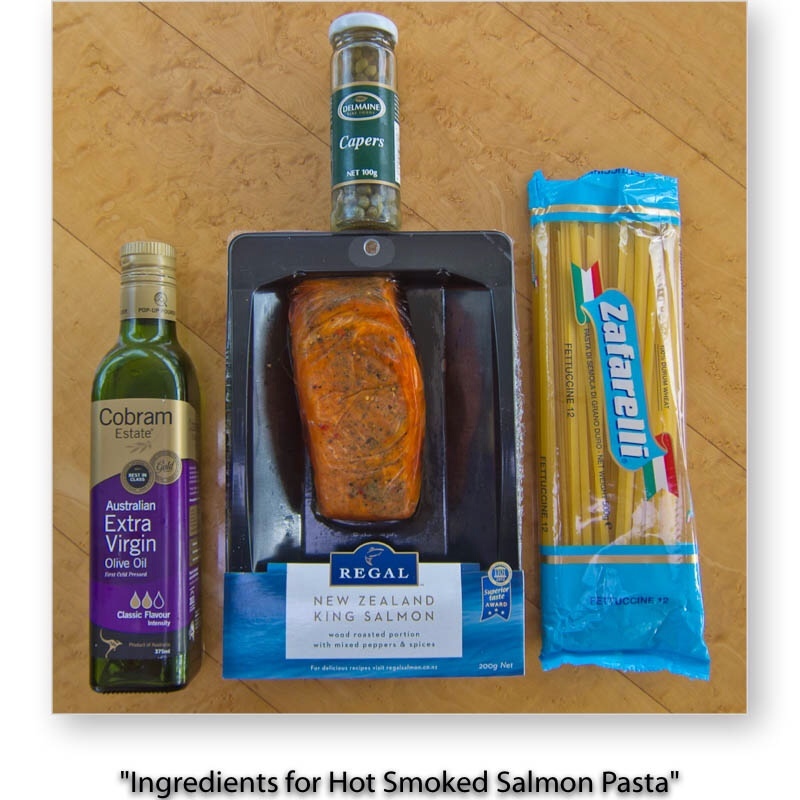 Break the Hot Smoked Salmon into medium-sized chunks and heat gently in a little Olive Oil in the pasta pot, just enough to warm it. Add the Capers and the drained pasta to the pot with the Salmon. Add a little Olive Oil and toss. Then add 1/2 cup of the reserved pasta water to help make the sauce. Add more of the water only if the Pasta seems to need more sauce. Toss to mix and serve immediately.